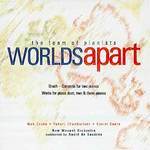 Worlds apart / the Team of Pianists. Pavan : for two pianos / M. Sutherland. Melbourne : Kurrajong Press, c1958.